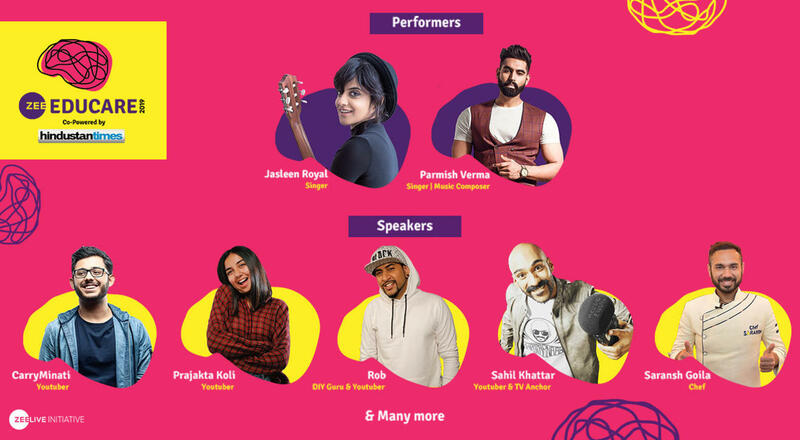 Welcome to India’s Largest Education Festival, ZeeEducare. With over 100+ exhibitors, 20+ workshops and 20+ panels by leading speakers from across the country, we will be addressing the need gap for secondary school students to help decide a suitable career for their future. We are bringing together representatives from different industries all under one roof. In addition, top industry professionals and youth icons from across all disciplines will shed light on their respective industries, to give our students utmost clarity on what lies ahead of them. To address this need gap, we’ve specifically curated topics that are both relevant to a youngster and shed light on the various industries the students might see themselves in. A few of the topics that will be discussed at ZeeEducare are, “The Art of Failure: Exams Are Not The End Of The World”, “The Power of Building Campus Communities”, “Does Your Board Curriculum Decide Science, Commerce & Arts” and so much more! There will be several top notch industry stalwarts interacting with our students at the ZeeEducare as they aim to inspire and shed light on their respective fields and industries. Zee Educare will see over 40 institutions showcasing their courses to the students across various disciplines like AI, Blockchain, Design, Music, Agriculture, Architecture and Media.